Just two days ago, Sept 28, 1781, marked the last day‘s march on the long, hot road to Yorktown, VA for the allies, French and American combined armies. In many ways it was the hardest as well as the most exhilarating march since they left the Hudson Highlands above New York City. I was there and this is what I saw. “From my viewpoint along the 12 mile stretch from Williamsburg to Yorktown, I see hundreds of soldiers, all decked out, “marching as to war”. Look, there at the head of the first column, it’s General Washington on his horse, Nelson. How fine the general looks. Behind him I see the famous Continental Army and local militias, all following their fife and drum corps. Very impressive! I remember reading that at the start of this historic march from New York, Washington’s men were disheartened at the prospect of the 400 mile march in the dead heat of August into the south where it was bound to be much hotter. A wonderful event occurred that gave our soldiers the courage to carry on, to continue to follow Washington to the ends of the earth as they had done over the past 6 years. 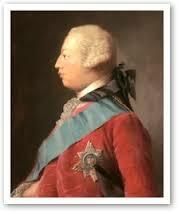 The French King, Louis 16, had sent yet another shipment of hard currency to General Rochambeau to aid in the march. Very generously, he lent Washington a goodly sum of hard cash, not only to fund the long march, but, to give each man some coins to jingle in his pocket and maybe buy a new pair of shoes for the march. Most of the Continental Army had not been paid for years! Yes, this gift was a morale-raiser for the American Army. We have Rochambeau and the French to thank for that! 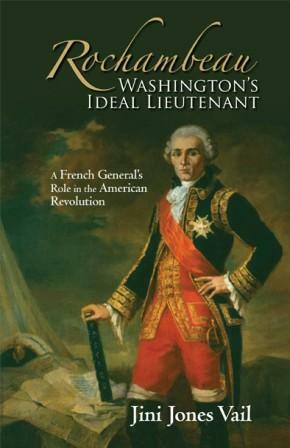 Rochambeau and his Army are in battle attire with white woolen uniforms gleaming in the light of the new day. I stand here in awe of their multi-colored jackets with contrasting lapel facings, collars, cuffs, piping , and other trim, not to mention their many buffed buttons and shiny buckles. Each regiment proudly displays its flag. I cannot help but notice the officers’ gold braid and medals glinting on the chests of the officers in the low straight-line rays of the rising sun. 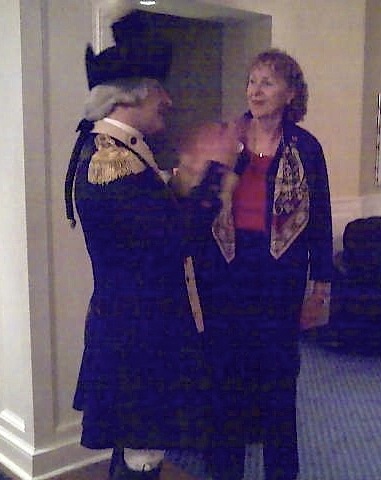 Their tricorne hats have been freshly brushed and are adorned with appropriate cockades, some with tall plumes floating in the breeze. I am thrilled at the sight!!! Oh, and look at their newly-powdered hair! Ladies, if you are watching as I am, ooo la la, those French! What an amazing sight, and just think of it, after the blistering month-long march from New York to the mouth of the Chesapeake Bay! Even though food of all types is in short supply here in Virginia, the American officers, not to be outdone by the French, scoured up enough flour to make themselves look elegant. Yes, they used flour to powder their hair! Not a bad idea at first suggestion. It did achieve the desired look. However, I have it on good authority, that as the day wears on and as temperatures rise, and sweat begins to pour off their heads, it will surely begin to mingle with the flour and cause an uncomfortable caking on their heads! The flour and their sweat will literally cook in their hair as they march. The Continentals may be happy now, but later they will pay a sad price and need tons of water to rid themselves of the mess. The Continental uniforms may look flimsy, but they are cooler in hot weather than the French. The soldiers do not always march in lines of similar heights, but their hearts are light today as they pass me by. There is a palpable sense of excitement in the air as they leave Williamsburg this early morning. I cannot help but feel it too! There is no stopping the allies as the drumbeats direct their step toward the Yorktown redoubts and the waiting, worried, British commander, General Lord Cornwallis.